Galactic time, not to confuse with siderial time, is the time that is described by our spin relative to the center of the galaxy. Just like the moon spinning around the earth and the earth spinning around the sun, we all together, sun, moon and earth and the other planets, are spinning around the center of our galaxy, the Milky Way. The Max Planck Institute in Germany produced - since 1992 - an animation that shows how the stars in the center of the Galaxy are spinning around the center. The center is situated in Sagittarius A, and is possibly a young black hole: a mass of two million times that of the Sun. A galactic day can thus be understood as one revolution around the sun of the earth relative to the center of the galaxy. It gives a slightly longer (about 1/71 day) 'galactic' year (in fact a galactic day thus) that runs ahead through the seasons, beginning when we are closest to the center of the galaxy (or at the greatest distance, there is no cultural precedent). Midnight 6-7 july in the year 2000 could be used as a starting point of being closest to the galaxy center for counting these galactic days, that are conceived as galactic new years on a solar calendar. This slightly longer 'galactic year' is due to the precession of the equinox, the drift of the stars causing the date of the galactic new day to move upward through the calendar (see also the Hutchinson Encyclopedia). A galactic year can be described as one revolution around the center of the galaxy which at a speed of about 250 km/sec. takes about 226 millions of years with a radius of about 26 thousand lightyears. The age of our solar system is about 20 of these revolutions. 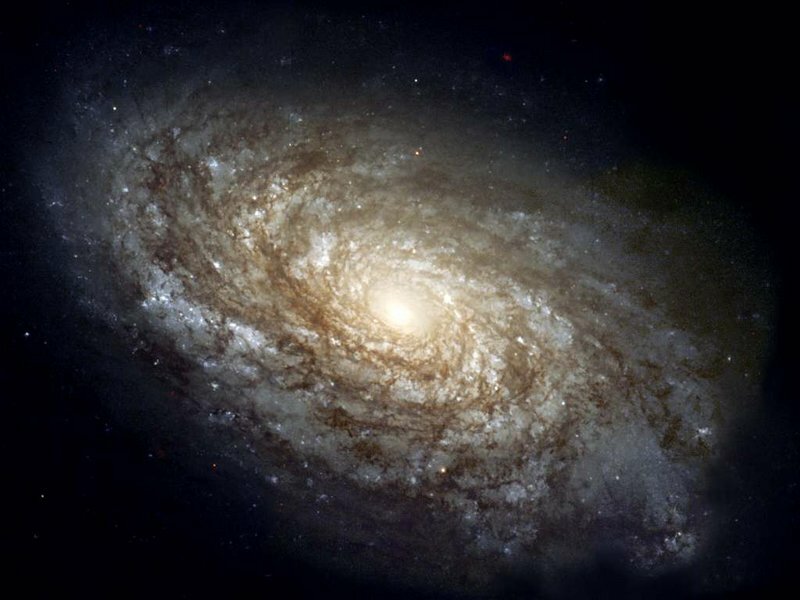 Thus we are 20 galactic years old, departing from the supposition that our galaxy the Milky Way, is about 4.5 billion years old, and that the progress of galactic spin would be uniform. Because it is logical (scientific) as well as religious to count with the stars, humanity has, with the Egyptians and the south american Indians e.g., tried to maintain cultures to the stars. They, missing the point of the precession of the equinox, all disappeared in corruption and decay overtaken by stronger, less illusioned and more stable cultures. For a culture it is important though to respect the complete whole of the universe as it is part of the time of its life and scientific and religious consciousness. So do the Hindus call the galaxy s'is'umâra (dolphin) and respect they its center as the mountain Meru, as the point connected to the navel of Vishnu, the Maintainer, the place where the lotus of the universe sprouted (see S.B. 5.23: 8 and S.B. 2.2: 25). It is the third reference after the sun and the moon telling how one relates to the force field of the ether and the cosmic reality where all of existence is found. Psychologically it settles the final identity and selfawareness of the planet assigning it a defined place and life among the stars. Culturally, in an astrological sense, we think to have set our birthdays to the stars, but in reality we cannot fix the celestial sky to the seasons and the tropical year. To respect the stars really with one's birthday one would have to respect the galactic year. One would thus have to celebrate one's birthday every year about twenty minutes later. The subject of galactic time, as yet 2006, is, considering the before mentioned, solely of importance to a collective cultural persistance for more than a century. It transcends the individual interest of individual life times to the level of the interest of the collective, to keep the same time identity in respect of the dynamic universe in an illusion-free scientific manner. This sameness is essential for the survival, welfare and stability of a culture. For the selfawareness of our growing mondial culture and the wished stability thereof is a clear vision of the dynamic reality, of as well the galactic as the local of cyclic time (see solar time and lunar phases) that conditions all living creatures, thus important. Sage Vyâsadeva writes about it: The One [the Lord of Time) who moves distinct from all the diversity by the name of Eternal Time (cyclic and linear time combined) and by His own energy in different ways brings to life the seeds of creation and dissipates the darkness of the living entities during the day, should be offered respect with attention for all His five different types of (dynamic) years (the solar year, the galactic year, the planetary year, the lunation or any aniversary year), so that one thus by offerings brings about quality in one's material existence. (S.B. 3.11: 15) Therefore is there the concept of galactic time and the galactic year, the third option of order, after the calendering to the first and the second order of the sun and the moon. The spin of the stars in the galaxy, or the galactic year, is used as a proof for the ether as defined by galactic space; the space that with its physical qualities as a forcefield sets the order of all cyclic local and interlocal times in the galaxy. The Hubble redshift of the lightspectrum of expanding time space may be considered the proof of the primal ether of the expanding cosmic reality of all galactic universes. Gravitational lenses are the proof of curved space or the local ether. Thus is the relativistic ether, as suggested by Albert Einstein in 1920 as a consequence of the insights to the theory of General Relativity of Hendrik Lorentz and his local time concept, empirically proven. Max-Planck-Institut für extraterrestrische Physik - Infrared/Submillimeter Astronomy - Galactic Center Research. The Order of Time: Galactic Time - all about our timing to the center of the galaxy. 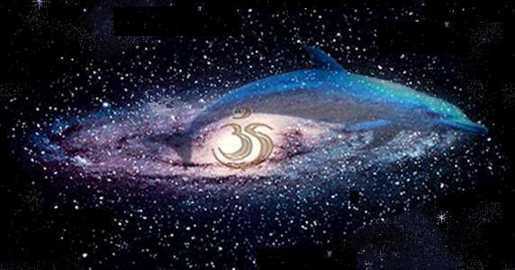 S'rimad Bhâgavatam - The Indian classic describing the Milky way seen in the sky as a dolphin for its white belly. Filognosy or The order of Time - The site on how to have a life with the ether and its primal linear, and galactic as well as local cyclic order of time. Ether and the Theory of Relativity - Albert Einstein's 1920 inaguration address at the University of Leyden (actually delivered on 27 October 1920). Einstein, the ether and relativism - article.